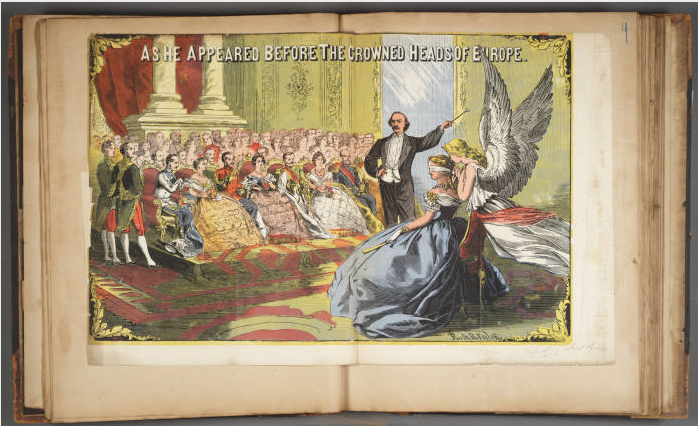 Between the mid-nineteenth and early twentieth centuries, men and women alike made scrapbooks as a way of processing the news. As Ellen Gruber Garvey shows in her book Writing with Scissors: American Scrapbooks from the Civil War to the Harlem Renaissance, the practice crossed lines of class and gender. Everyone from Mark Twain and Susan B. Anthony to Joseph W.H. Cathcart, an African-American janitor living in Philadelphia who amassed more than a hundred volumes in the second half of the nineteenth century, selected and pasted articles and ephemera into big books, often annotating and commenting upon the material. The scrapbooks are fun to look at on a number of levels. First, it’s cool to think of Houdini and his magician colleagues selecting the articles and images and arranging them on the page. Second, the material that’s covered is colorful and bizarre (an article in one of Houdini's books: “Trial By Combat Between A Dog And His Master’s Murderer”). Third, Houdini and his cohort clipped and saved from a wide array of periodicals; while it’s sometimes annoying that many of the articles have lost their metadata (date and place of publication), it’s still interesting to see the range of types of coverage that prevailed at the time. 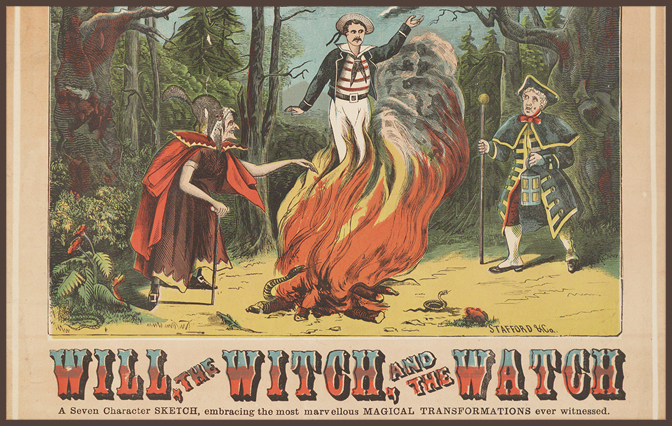 The book put together by the performer S.S. Baldwin, mailed to Houdini by Baldwin’s daughter Shadow after Baldwin’s death, is particularly interesting. The Ransom Center’s introduction to the collection notes that some items in the Baldwin scrapbook “depict graphic subject matter”—a sure enticement for this researcher, at least, to make sure to check it out. 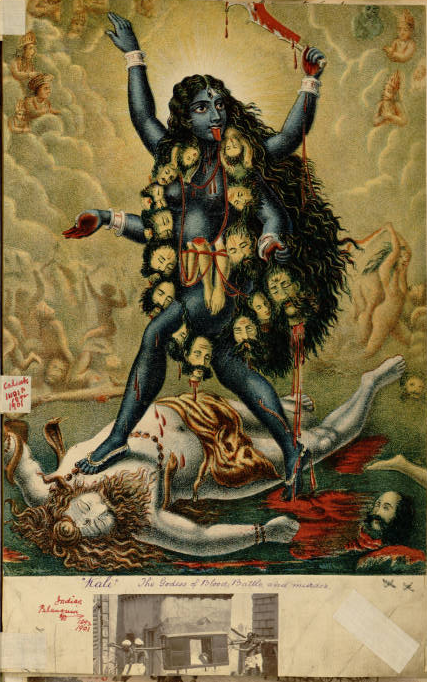 The warning may refer to this amazing image of the Indian goddess Kali draped in severed heads and limbs, or an engraving of an execution by elephant. Alongside many articles about his performances, fliers, and other ephemera, Baldwin also collected images of people living in the places where he performed—an approach that adds yet another level of interest to his scrapbook.